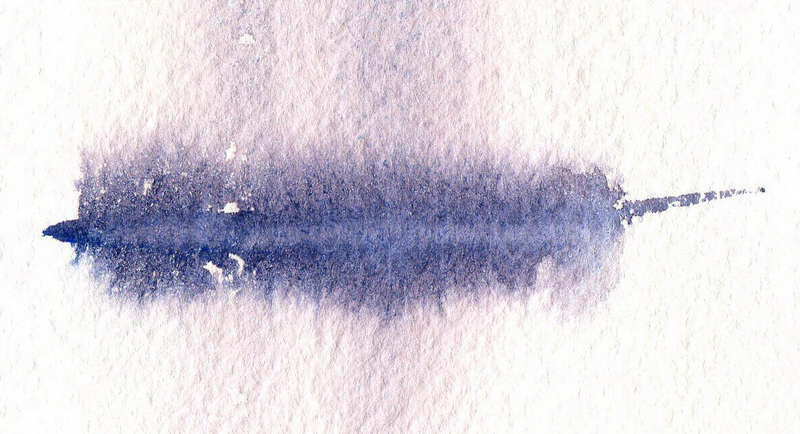 What is wet on wet when painting with watercolors. How to create a sunset watercolor painting was the topic for my Monday watercolor class this week. For this work I chose a sunset scene with lots of warm colors and interesting reflections. 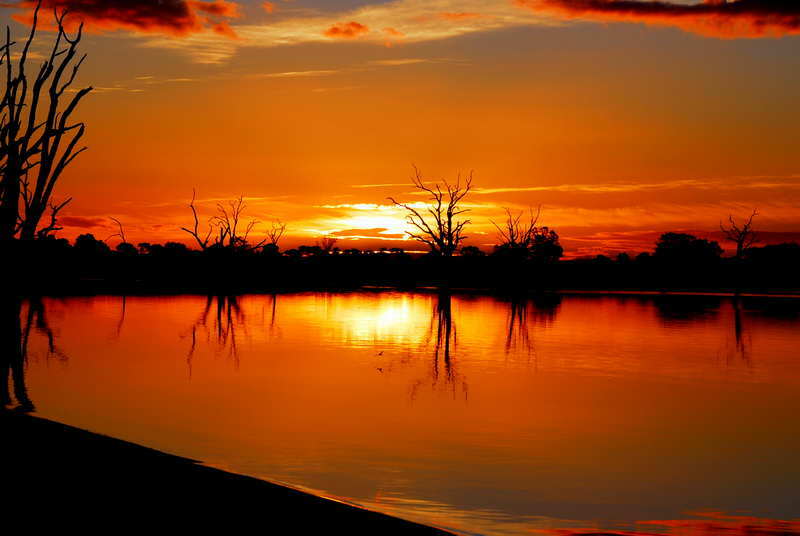 The reference photo was provided by my friend Robyn Lovelock and is of Lake Bonney in South Australia, close to the borders of Victoria and New South Wales. Firstly we had just completed a work which was predominately green and I wanted my students to have experience with a work with very little or no green in it. Secondly this photo required very little editing to turn it into a nice watercolor painting. Thirdly I wanted to teach them how to capture the light in a beautiful sunset. 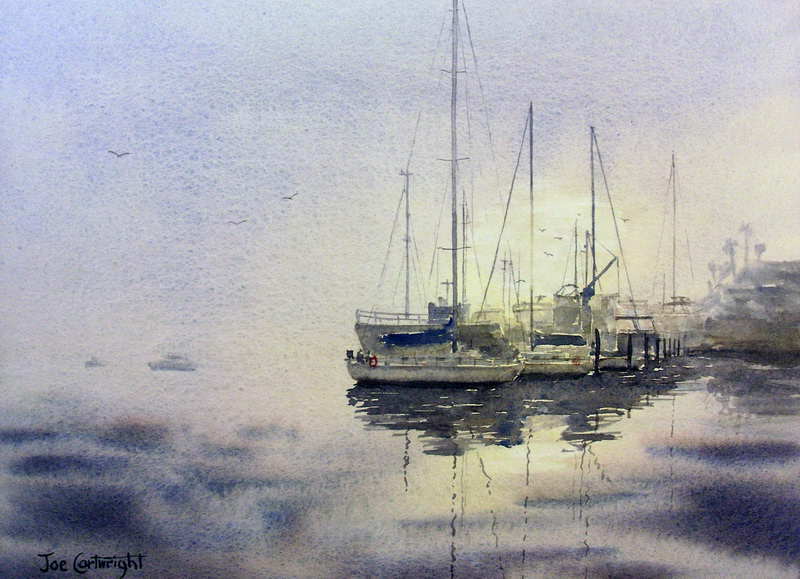 Finally I could show my students how to tackle soft water reflections in barely damp paper. If not done at just the right time you can end up with unwanted backruns or cauliflowers. On the other hand if you wait too long you end up with hard edges which would not look right for this watery scene. Very little prior drawing was done for this watercolor painting. 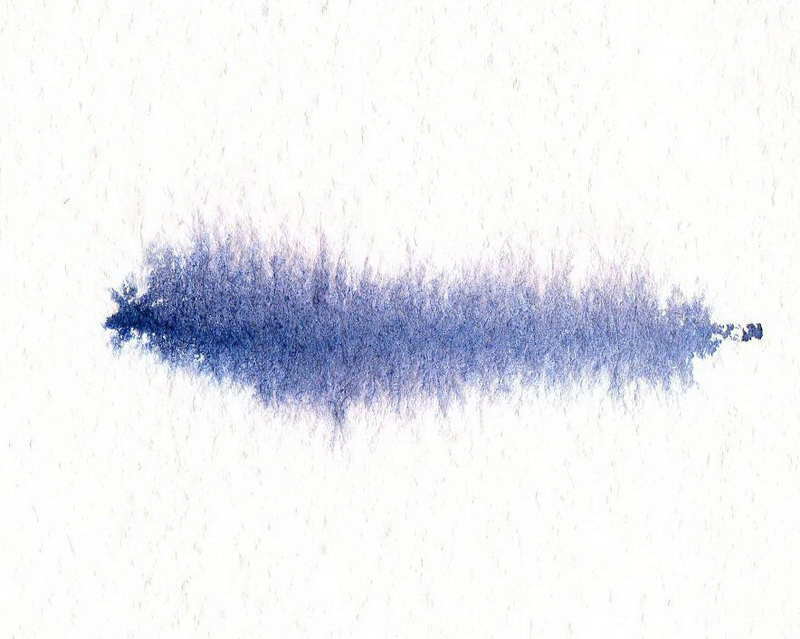 In fact the only drawing was of a horizontal line representing the distant shoreline. 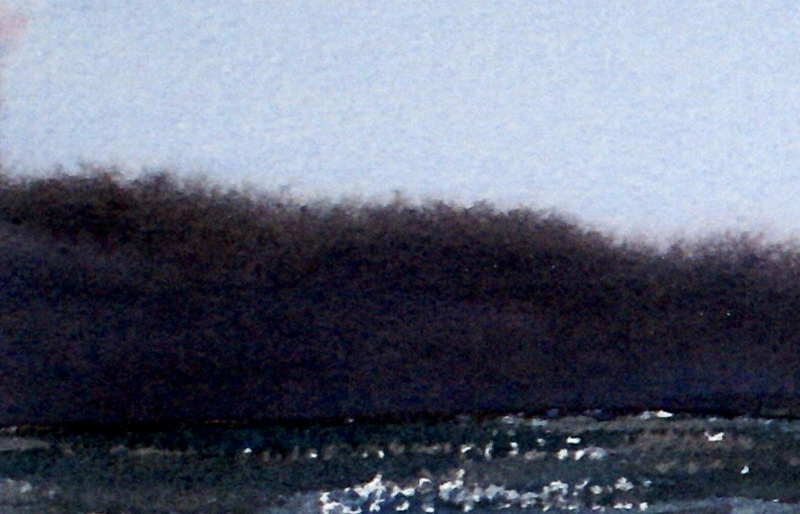 I placed the distant shoreline lower than in the photo to keep it well away from the center of the work. I also decided to leave out the diagonal shore in the foreground as well as the tree on the left hand edge of the photo. They did not add to the painting and the hard edge of the diagonal would have acted to lead the eye out of the painting rather than keeping it in it. I moved the position of the sun to the left for a more pleasing balance. When I paint a scene like this I never slavishly try to paint everything that is in a photo – if I wanted to do that then I would just frame the photo. As artists we have the ability to extract the essence of an image and hopefully improve on it. 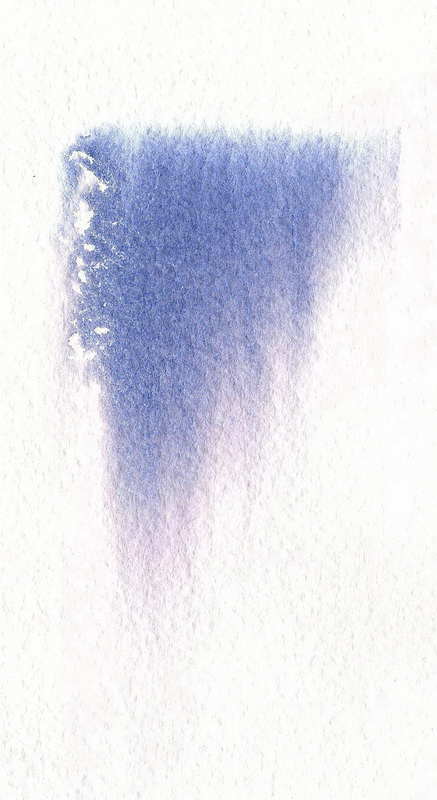 The sky was painted with the board held in a portrait position so that the water colors would flow parallel to the horizon line. Otherwise if I painted this with the board in a normal landscape position I risked all the colors flowing down into one another. I made sure to leave some of the paper untouched where the sun is positioned. This gives my painting the greatest light. I left the sky to dry fully. I then painted the distant tree line running some of the dead tree trunks into the water (this is why they are dead). Again I let this dry fully. Finally I painted the water with horizontal brush strokes. Water reflections are a little duller than the object they are reflecting, in this case the sky. While the lake area of our scene is still quite wet- the shine is still on the paper, I dropped in the soft edged reflections of the distant bushes and trees. The after it had lost its shine I used a small brush with a good point, and very little water to paint the soft edged reflections of the dead trees in the foreground. It is a good idea to practice this on a scrap piece of watercolor paper till you get the timing right. When you practice something like this make sure you use the same paper as the watercolor paper of your painting. 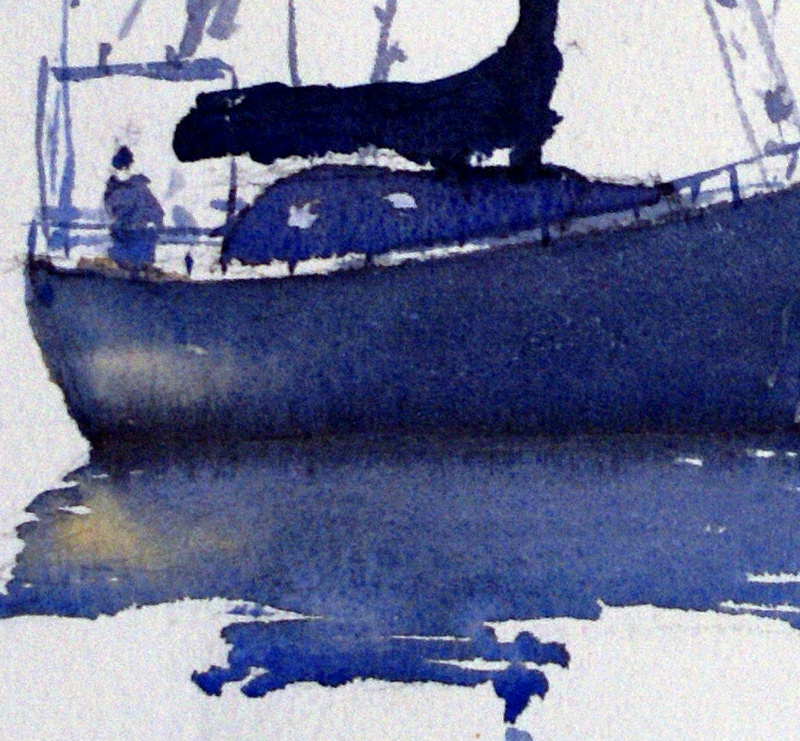 I have now produced a full step by step demonstration article on how to paint this watercolor paintng. 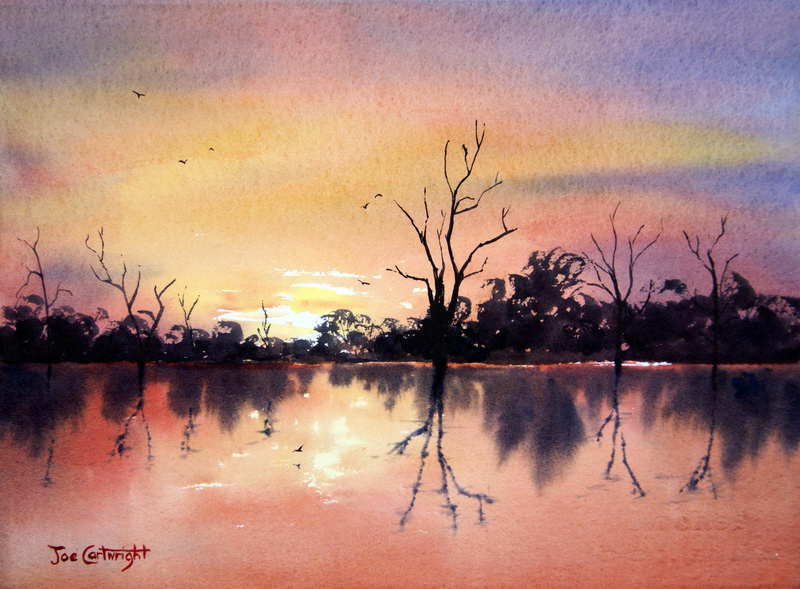 You can view it at this link: Lake Bonney warm sunset watercolor painting.